Two mares in Monmouth County (different properties) and a gelding in Camden County have been diagnosed with Eastern Equine Encephalitis (EEE) and subsequently died or been euthanized. All three horses were unvaccinated this year. A fourth mare has been diagnosed with West Nile Virus (WNV) in Burlington County. This mare is still alive despite not being vaccinated this year. Of the surrounding states, Delaware has West Nile Virus and New York has both Eastern Equine Encephalitis and West Nile Virus. 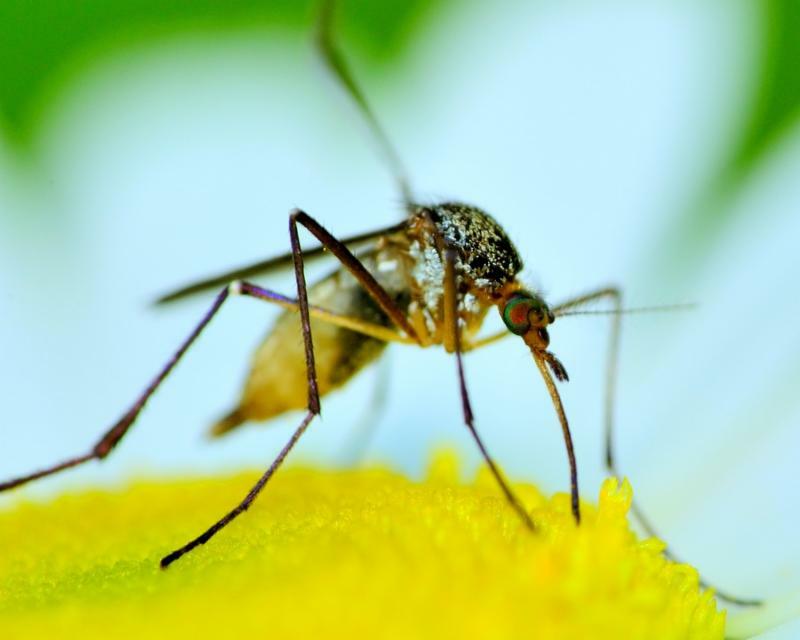 What Are Eastern Equine Encephalitis (EEE) and West Nile Virus (WNV)? Both of these diseases are viruses spread by mosquitoes that bite birds. This means that EVERY horse, whether in a big barn or a back yard, is at risk for exposure to these two diseases. 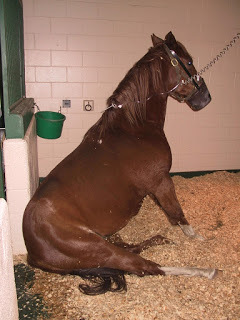 Once a horse is infected with either disease, they will usually run a fever and start showing neurologic signs. For EEE, these signs often include altered mentation (being out of it), pressing their head against a wall, circling, not wanting to eat, trouble swallowing, difficulty walking or standing, seizures and death. The signs of WNV are less severe and include fever, difficulty walking in one or more limbs, depression, not wanting to eat, tremors, over-reacting to their environment, and tongue and facial paralysis. Of the horses infected with EEE, 90% will die. 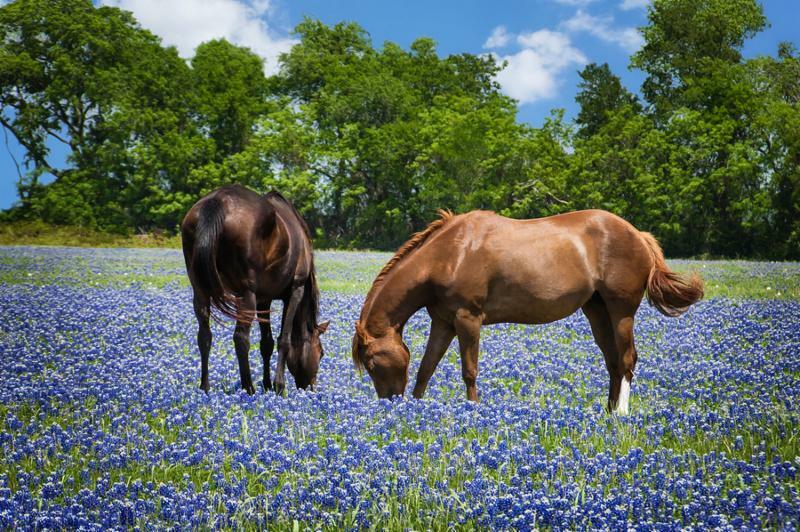 Of the horses infected with WNV, usually only between one third to a half will die of the disease. If you notice that your horse has a fever ( temperature over 101.5F) or is demonstrating any other unusual behavior it is important to call the veterinarian immediately. Vaccinate. Vaccinate. Vaccinate. Vaccines for EEE and WNV are highly effective and should be given EVERY YEAR. We encourage our clients to vaccinate for these diseases between April 15- June 15 every year so that your horse's immunity is highest when mosquitoes are most active. These vaccines quickly lose effectiveness after 12 months. Practice mosquito control at your farm. Eliminate standing water in the barn, fields, and anywhere near your horses. 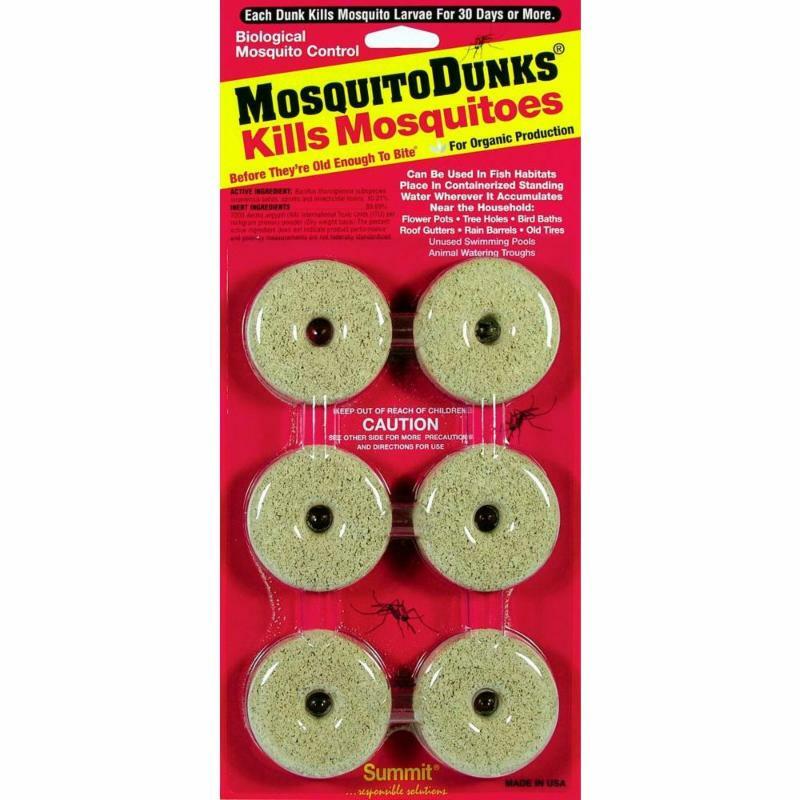 There are natural pesticides to kill mosquito larvae that will not harm horses. Provide fans where horses can stand in the shade. Mosquitoes do not like the moving air. Do not turn out your horse in the evening when mosquitoes are most active. If your horse is showing signs of EEE or WNV, your veterinarian will likely take a blood test to determine if he does have these diseases. Unfortunately, a number of serious illness can look like EEE and WNV, including rabies, EHV-1, EPM, and others. Because both EEE and WNV are caused by viruses, THERE IS NO CURE . Veterinarians can provide supportive care and help your horse feel better while he battles these viruses, but ultimately, it is up to the horse's immune system to combat these diseases. Vaccination gives a horse a much better chance of survival . If you have questions about vaccination or think your horse may have EEE or WNV, please call our office immediately at 609-291-0535 or contact us through our website here. 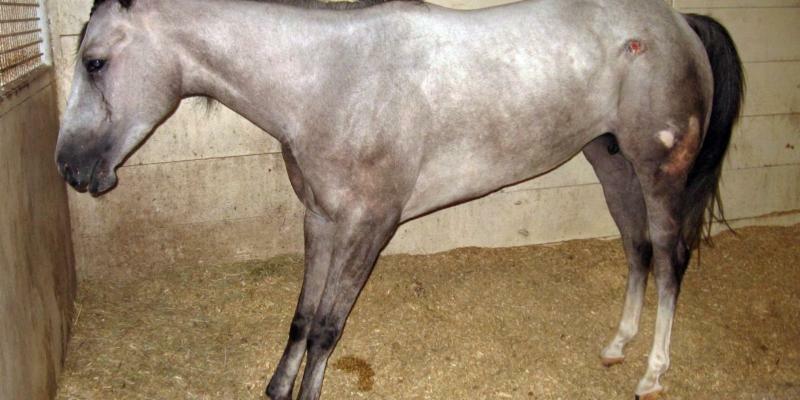 Six horses in New Jersey have now died from Potomac Horse Fever. The first was from Mercer County near the Princeton area and the was from northern New Jersey. Both died within the last 10 days. Testing was confirmed by the New Jersey Animal Health Diagnostic Laboratory in Trenton, NJ. Please be aware that this disease is currently active in our practice area and take steps to protect your horse. Our condolences go out to these owners. What Is Potomac Horse Fever (PHF)? Potomac Horse Fever (PHF) is caused by a bacteria called Neorickestia risticii. This bacteria is spread by flies, snails, and their flatworm parasites. Exactly how the disease is transmitted is not clear, but it may be from fly bites or consuming water containing infected snails or flatworms. Potomac Horse Fever causes a high fever that comes in two waves. The first wave may go unnoticed because it is usually not accompanied by any other signs. The second fever arrives a few days later, usually accompanied by severe diarrhea, depression, and mild colic. The horse may also develop severe laminitis. Pregnant mares that become infected with PHF often abort their pregnancies several months after the infection. PHF is fatal in up to 30% of adult cases due to sepsis, dehydration, or incurable laminitis. If caught with the first fever, PHF can be treated with a short course of antibiotics. However, once the second fever and diarrhea has begun, the prognosis is much more grim. 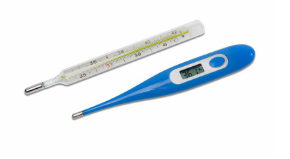 The most effective method is to check your horse's rectal temperature daily. If the horse has a fever, meaning a temperature over 101.5F, call the veterinarian at 609-291-0535. 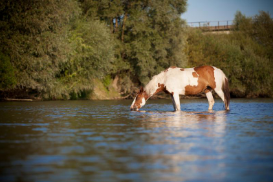 Do not board your horse in a paddock with moving water and turn the lights off in the barn at night to reduce consumption of infected flies, flatworms, and snails. Vaccinate your horse. 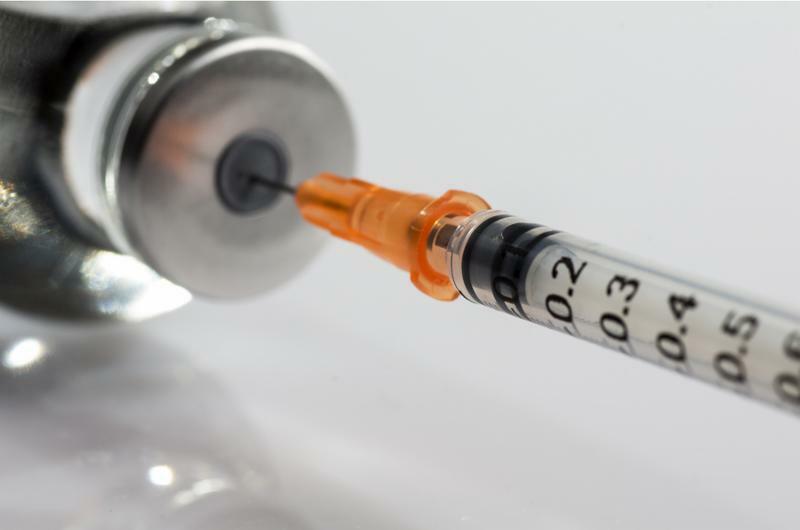 Vaccines for PHF are not very effective, but they are the best prevention available, especially if you are unable to take your horse's temperature every day. The vaccine is ineffective because N. ricketsii is a variable bacteria with many strains. Sometimes the strain in the vaccine may not be the strain that infects your horse making the vaccine less effective. Move your horse. Although PHF is a life-threatening disease, it is also very regional. In our practice area, we only see cases of PHF between Route 1 and the Delaware River. If your horse lives outside this area, he is unlikely to be in danger. If your horse is showing signs of PHF, the veterinarian may take both blood and feces for testing. The most common treatments are antibiotics, medication for fever and pain, and supportive care for the feet. If your horse is already severely ill, he may need to go to the hospital for intravenous fluids and laminitis management. PHF is not transmitted directly from horse to horse so it is safe to stall healthy horses next to a sick horse. If you have questions about vaccination or think your horse may have PHF, please call our office immediately at 609-291-0535 or contact us through our website here.